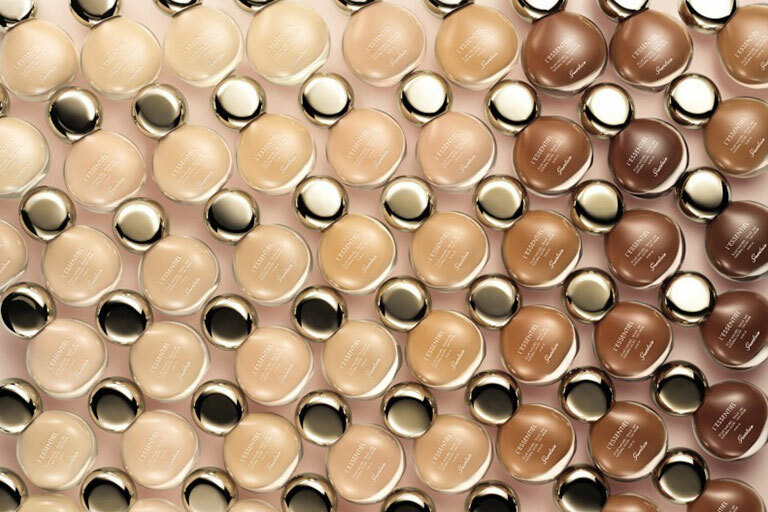 If you’re a seasoned makeup junkie, chances are you have at least one bottle of liquid foundation in your stash. Whether it’s a foundation that gives your skin a glowy and dewy look, or a foundation that covers all your past mistakes, the options are simply endless. So let’s face it, translucent or semi-translucent coverage might be alright for some, but for most of us, a full coverage foundation is all we need, especially on days when we’re faced with our skin’s pesky problems. Yes, it’s true. The term ‘full coverage’ or even ‘medium-to-full coverage’ might strike off as an intimidating term for those who have dealt with cakey faces that settle into the crevices of your face or slides off by 2pm. 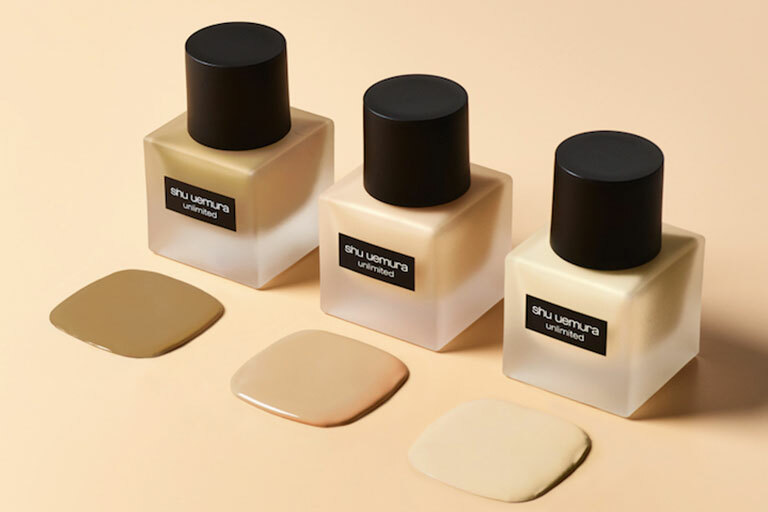 But thankfully, with these new liquid foundation formulas launched by some of the most iconic brands in beauty, you might just find your true match — whatever the type of coverage you’re into. From cult beauty brands like shu uemura, to luxury house brands like Dior Beauty, we’re ranking the latest foundations that are seeing the resurgence and have given them our team’s honest reviews. I can’t gush enough about this liquid foundation. When I first tried it, it became the immediate gold standard of liquid foundations for me (it used to be Estée Lauder’s Double Wear). This product is so natural, I can’t see it on my face! But it still manages to even out my skin, creating a clean, perfect canvas for makeup colours. This is magic. Don’t think twice. Buy. Also, in case you’re wondering if I’m biased — no, Dior didn’t pay me to say this. In fact, I included it as my first Editor’s Pick of the year! You can read the full review here. No lie — this is the one to beat. And I’ve heard great stuff about it from other beauty writers as well, people who have at least 5 bottles of foundation on their desks at a time, so you know it’s as qualified an opinion as you can get. Why is it great? First off, I’m in love with how it makes my skin look — it goes on lightweight, and evens out my skin into this very natural, beautifully radiant texture that catches light in the most flattering places. Truly, my skin but better! It also glides on easily and is very easy to blend, which definitely helps in achieving that natural look. Compared to most other foundations I’ve tried, the staying power — especially for something that’s so lightweight — is incredible too and I don’t get pesky shiny spots or clumpy areas at the end of the day. Nothing to complain about at all, except for my complete misery should I reach the end of my precious bottle. I never knew true love until I met Dior’s Forever Foundation. To tell you the truth, I’ve never been fond of switching liquid foundations. I’ve always stayed true to one and it was Estée Lauder’s Double Wear Liquid Foundation. But when this beauty arrived on my desk, I figured it was just like any other product that lacked something or thereof. Obviously, I was too quick to judge. Unlike Adele and Amelia, who tried the Dior Forever Foundation Glow foundations, I tried the Velvet Matte version, and here’s my take. It’s lightweight. It’s medium-to-full coverage. It’s everything you could ever ask for! Am I being too dramatic about this? Not at all. Aside from the fact that it blends seamlessly into the skin, the foundation is also buildable and it’s formulated with ingredients that reap amazing skin-caring benefits. I repeat: skin-caring benefits. It protects your skin from external aggressors and it also reduces the appearances of your pores (which is always a plus in my department). But what drew me to this foundation wasn’t just it’s finish or it’s ingredients, in fact, it was it’s staying power. I’m always on the move for most of the day, so finding the right foundation that stays on for long hours without feathering is my top priority. That’s where this foundation came along. Once, I tried working out while I had the foundation still on (even when I know I shouldn’t), and to my pleasant surprise, it still stayed on my skin, even after sweating it out. Absolutely groundbreaking. Dior Forever Skin Glow and Velvet Matte Foundation, $85. Available at all Dior counters. This finish is very close to shu uemura’s petal skin foundation (soft and matte), but it offers more coverage. Definitely not a weekend foundation for me, since I prefer a much lighter, less powdery look. The application of this foundation is a delight; it glides on skin easily, and feels both comfortable and comforting. This over the Guerlain one, but unfortunately, Dior and Laura Mercier’s more “natural” finish over this one. You’ve got to be in awe of shu uemura’s dedication to Asian skin — shu uemura’s makeup artists have studied and identified Asian skin tones, a wide spectrum of them by the way, to come up with the right undertones and shades suited for us. Another good thing: it’s great for our hot and humid climate as well. On top of its highly breathable formula, there are sponge-like powders that absorb sebum and sweat so your foundation lasts all day. All this, and the most sleek, minimalist translucent bottle, meant that I had high hopes! I wanted to LOVE it! Except, that I only, well, like it. Maybe it’s just the super-tough competition, but the foundation didn’t come up tops for me, not on first try. A couple of tries later though, I was actually more impressed. I enjoyed how it disappeared into my skin thanks to the precise match, and its breathability that enables it to last all day and feel lightweight. The liquid formula blends like a dream too. My favourite part is how it gives this diffused look that makes it seem like your skin has the best filter a girl can deserve — my complexion looked a lot more even! However, I wasn’t a huge fan of the semi-matte texture (though that’s just a personal preference) — much, much prefer the finish of their Petal Skin foundation. That said, for girls with normal-oily skin, this one’s worth a go! For someone who loves matte finishes, this shu uemura foundation got me. Now I’ve heard about the craze that’s been going around about this new foundation and it was hard to believe what everyone was raving about until I got my hands on it. So here’s my take — I tried the unlimited foundation with shu umuera’s Block: Booster Protective Moisture Primer and applied it on with their coveted foundation brush. As expected, it went on effortlessly and it did live up to its claim of it being breathable. And also, can we all take a moment and admire how beautiful the design of the bottle is? Classic, chic, and sophisticated — basically it’s the kind of aesthetic you’d expect from the artisan beauty brand itself. On the downside, as much as I do love my medium-to-full coverage foundations, this particular one came off a tad too cakey for my liking. I mean, in all honesty, I love it’s coverage but I wouldn’t say that it gave a natural looking finish like the ones I’ve tried by Dior — but that’s just my two cents worth. shu uemura Unlimited Foundation, $72. Available at all shu umuera counters and Sephora. Everyone loves the Ultra HD foundation right? It has been a while since I’ve tried base makeup from Make Up For Ever though, so I was looking forward to this one… except I didn’t like it at all. I mean, it is a full-coverage, matte finish foundation, which are things I don’t need to have in my foundations since I prefer a lighter, more dewy finish. While I found this easy to blend out with decent coverage that evens out my skin imperfections, it felt more heavy than some of the others, and got drying just halfway through my day. I started to notice some patchiness around my eyes and nose. I’d sooner reach for their more lightweight skin tint, and you probably should too. Let’s face it, when it comes to foundations (or primers), Make Up For Ever will always be a brand that you can trust. I got my hands on their recent Matte Velvet Skin liquid foundation and I was shook! If you don’t already know, I love myself a foundation that offers full coverage and this foundation, did just that. Eponymous to its name, the Matte Velvet Skin foundation gave me a beautiful matte finish that stayed on for hours on end. It may come off as cakey to some, but for those who need a little more coverage, this number by Make Up For Ever hits the spot. If I’m being honest, I’m not a huge fan of Make Up Forever (don’t @ me). I found the formula of their Natural Matte Powder Foundation a tad cakey, so I was a little apprehensive to try their Matte Velvet Skin Foundation… especially on Valentine’s Day. That being said, the claim for this was pretty spot-on: it went on smoothly, didn’t flake, and it held up fairly well without zero shine — even through playing carnival games in a humid space. The best thing about this foundation I found was its ability to build. If you’re looking for a quick sheered out coverage before running out the door for a last minute date (raises hand), one swipe is all that’s necessary. But, if you desire full coverage — say, when those pesky dark eye circles won’t leave you alone — it builds on itself to fully balance your complexion. It didn’t give me that “vibrant-looking” appearance that it promised but it did have a very natural finish that will have me reaching for the product again. 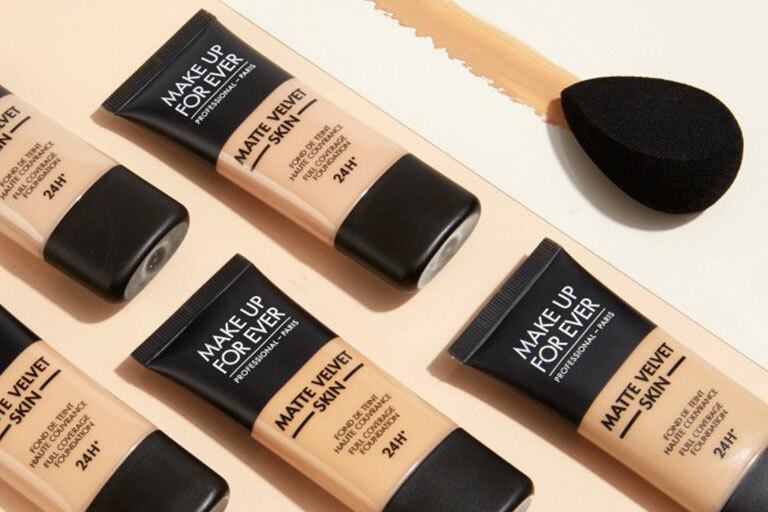 Make Up For Ever Matte Velvet Skin Full Coverage Foundation, $72. Available at Sephora. With words including “Flawless” and “Perfecting” in its name, I was expecting this foundation to be quite heavy; but what a surprise! It’s as weightless as a liquid foundation can be, and looks almost undetectable on the face! The finish is semi-matte, but it reflects light on the nose bridge and cheekbones. Also, I had a perfect skin tone match (1C1 Shell) from one of the 30 available shades. What’s most impressive is that at the end of the day, my face still looks — as the product promises — flawless! It looks fresh; close to when I first applied it in the morning! There was hardly any wear-off or shine, which made it one of the most lasting foundations I’ve ever used. It’s a tie between this and Dior’s Forever Skin Glow for me. And that’s saying a lot, because I hold the Dior foundation in very high regard. The difference is that this one has a slightly more matte and powdery finish. I’m a huge fan of this one too. Granted, I was already very impressed when we did a shoot that featured the foundation, and very envious of the models, so imagine my excitement when I received my own bottle to take home at their store opening! Just to recap, the models’ unanimous verdict was that “it feels like nothing”. As for mine? It’s totally true! The best part about Laura Mercier’s foundation is that despite the medium-full coverage, it’s truly weightless — it goes on so comfortably that it doesn’t feel like I have anything on at all, and that’s something you can only experience when you try it for yourself. It’s like your skin got magically better! The brand calls this a luminous finish, and I can vouch for how it gives my skin a soft dewy glow; it is slightly more matte than Dior’s, though I guess that would be a more coveted finish for most of us seeking a more even canvas and shine-free glow (in this humidity!). 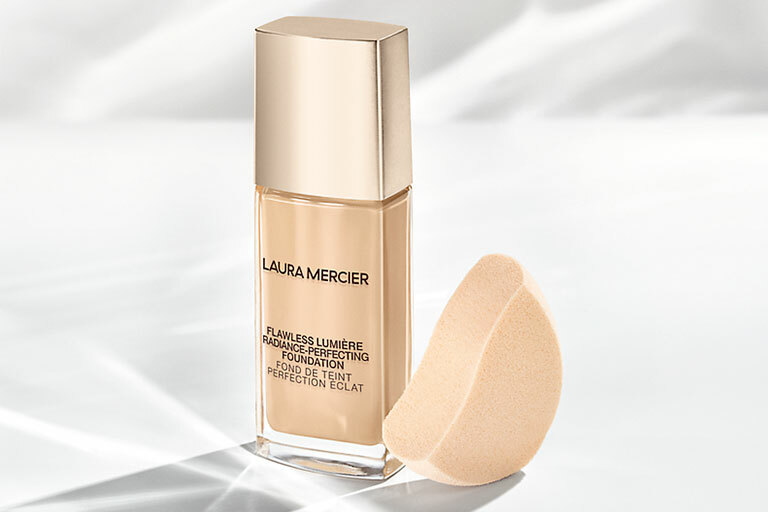 LAURA MERCIER LUMIERE RADIANCE PERFECTING FOUNDATION, $80. Available at all Laura Mercier counters and Sephora. I’ve been seeing the Hourglass Vanish ads everywhere on my social media feeds. Sephora must have high hopes for this product if they’re putting so much advertising money behind it. But I must say that their advertising efforts worked, because I was really looking forward to trying this product. It disappointed though; it was drying on my skin. It felt dry and it looked dry (I have dry-normal skin). I clearly didn’t like it. I’m assuming you’ve probably heard a lot about Hourglass’ Vanish Stick Foundation. For me, I first came to notice the Stick Foundation while I was browsing through YouTube and stumbled upon one of Jenn Im’s makeup tutorials. It was amazing, I tried it on for myself too and I usually fall back to the product when I’m looking to conceal a few dark spots on my face. So when Hourglass announced that they were launching their liquid foundation range of the former, I was at the edge of my seat. I went down to their counter during the launch and tried it on for myself, and boy, was I amazed. I may not be a fan of dewy finishes but this foundation gave me some serious multi-dimensional glow from all angles. But after leaving it on for a few hours, I started to realise that it started to dry up on my skin a little and it didn’t exactly stay as long as I thought it’d be — I needed a touch-up or two on some of my spots that needed more coverage. Overall, it’s still a good foundation nonetheless, but it’d probably not be the first foundation that I’ll reach out for when it comes to perfecting my canvas. 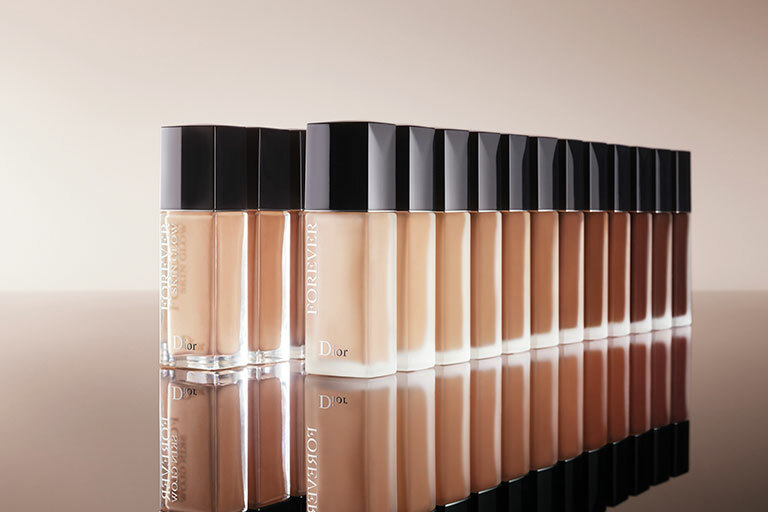 Hourglass Vanish Seamless Finish Liquid Foundation, $93. Available at all Hourglass counters and Sephora. I’m not a fan of the bottle design; it won’t fit nicely into my modular Muji makeup box. But that’s just my personal preference. I can see many ladies loving the “couture” feel of this bottle. The finish was slightly matte, slightly powdery — very similar to shu uemura’s new foundation. Between the two, I’d choose shu uemura just based on price and bottle design. Also, this Guerlain foundation has an overpowering floral scent! It’s not for me. I didn’t like the scent, so unfortunately, I wasn’t immediately inclined to like it at all. When I first put it on my skin, I kept trying to figure out where this cloying, musky scent was from until I realised it was from my face — and then quickly panicked about whether having a fragrance on my face was a good thing or not. Thankfully, I found out that the foundation’s made from 97% naturally-derived ingredients, so there was nothing to worry about (I think). I feel like that’s the draw of Guerlain’s foundation, that you’re putting something on your face that’s good for you and caring for your skin, and there are some merits — I can see why people rave about its natural glow finish and its buildable coverage. I did feel like the foundation tended to sit on my skin though; it just seemed less fresh than some of the others on this list. Either way, it was an uphill battle to like it, thanks to how I just couldn’t get over the scent. Love the bottle, but it might be a while before I reach for this again. Truth be told, I’m not an avid fan of dewy finishes. But still, Guerlain’s L’Essentiel Natural Glow foundation caught my eye with its adorable bottle design — just look at it, doesn’t it remind you of a raindrop of some sort? Okay, back to my point: the L’Essentiel foundation prides itself as a foundation that’s made with naturally-derived ingredients that claim to be breathable and protects your skin from pollution. I was a tad bit sceptical about dewy foundations because I know for a reason that they tend to be a little heavier on my skin (or at least for the ones that I’ve tried before) — but this foundation lived up to its claims of it being breathable. It didn’t feel heavy and it provided my skin with the right amount of coverage, which of course, is a plus! However, on the downside, I wouldn’t say that the foundation was the best to apply on with your fingers — in fact, it was kind of patchy. Then again, it might be my bad for not using the L’Essentiel brush which I assume would be a better alternative to apply with. Aside from that, it was also the smell of the foundation that kind of put me off a little — it’s said that it has a “musky woody fragrance that opens with a white almond top note”— which came off more like a floral scent which didn’t exactly appeal to me for a liquid foundation. Nonetheless, if you’re into a foundation that gives a dewy, radiant finish (and a floral scent to go along with), then the latter might just work for you. Guerlain L’Essentiel Natural Glow Foundation, $94. Available at Guerlain counters and Sephora.